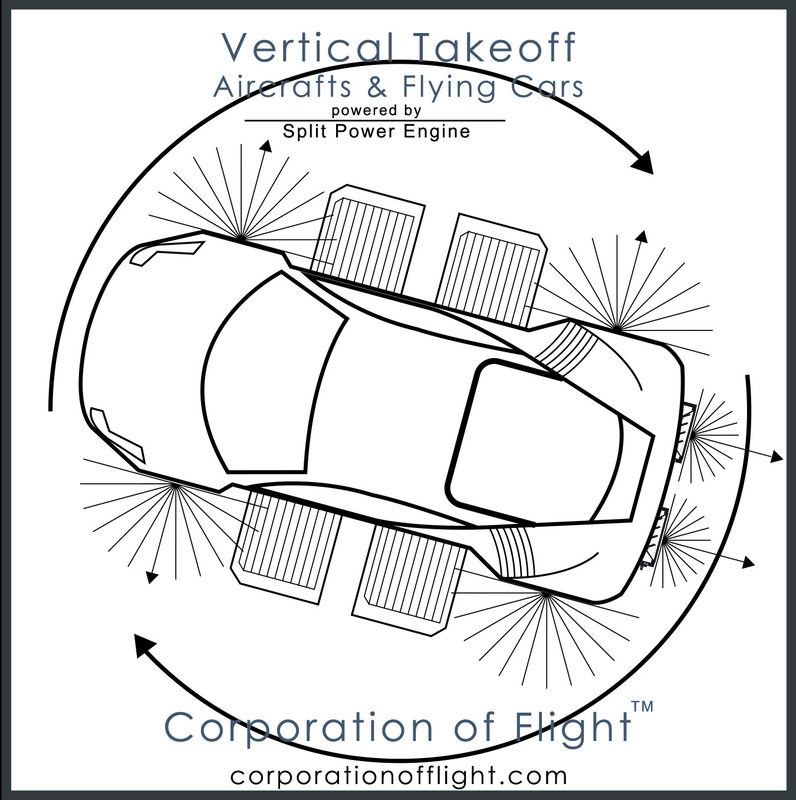 Flying Cars Now a Reality With New Innovative Engine From Corporation of Flight Inc.
ATLANTA, December 21, 2018	(Newswire.com) - Corporation of Flight Inc. (corporationofflight.com): Globally, flying cars are the hot topic of the day, yet not one single flying car has been seen in the skies. Why not? Flying car bodies have now been built, helicopters have been in the air for decades and computers can do wonders. So what’s the problem? Well, the main problem is engine power. And power, or rather horsepower, is the combination of strength and speed or for flying cars, rotational force and rotational speed. As it turns out, the secret for a successful flying car engine is that the source of force needs to be completely separated from the speed of rotation. 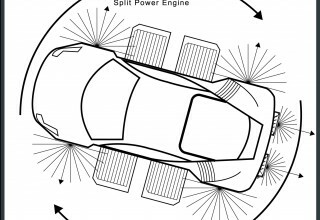 In light of these findings, this new engine has been aptly named the Split Power Engine™. Although there are several versions of VTOLs (Vertical Takeoff and Landing Aircrafts), aka flying cars, being developed by dozens of companies worldwide, the holy grail of a true flying car is one that looks like a car, is the size of a car, can drive on the road like a car and can take off and land vertically from anywhere. And although electric “flying taxis” and “personal drones” seem to be making all of the headlines, battery science says that battery power density can at most double, meaning that the 10-minute flight time now proclaimed is limited to a maximum of 20 minutes in the future. Not quite enough to get to grandma’s house. Corporation of Flight Inc. has developed an entirely new combustion engine platform that unintentionally ended up merging all of the positive aspects of today’s leading internal combustion engine designs - the 4-stroke, the turbine, the Wankel rotary and 4-stroke rotary engines. Additionally, rotational energy storage technology, fuel efficiency, quieter muffler tech, as well as cleaner combusted air technology, has also been packed within. The result is a sleek, stylish and compact engine package able to provide the extreme, rotational force and speed required to vertically lift a flying car. And this engine is not just for flying cars, but also for large, 50-plus passenger airships, which will create good competition against today’s leg-cramped, non-fun, slim tubular aircraft. Envision in-air restaurant-bars, spacious seating and walled suites. As an added bonus, electrical generator power for hybrid electric; aircraft and vehicles, buildings or whatever else that needs electricity can be produced thanks to the engine’s modular configurable design and attachments. With many of the global car and aircraft manufacturers now eyeing the flying car market, with researchers placing future monetary value well beyond trillions, Corporation of Flight has now opened the door for licensing. Everyday people can now be the first to purchase pilot, flight ticket and reservation, license options. After the start of the new year, Corporation of Flight will be seeking to issue its first multi-million dollar manufacturing licensing option. More information can be found at www.splitpowerengine.com. 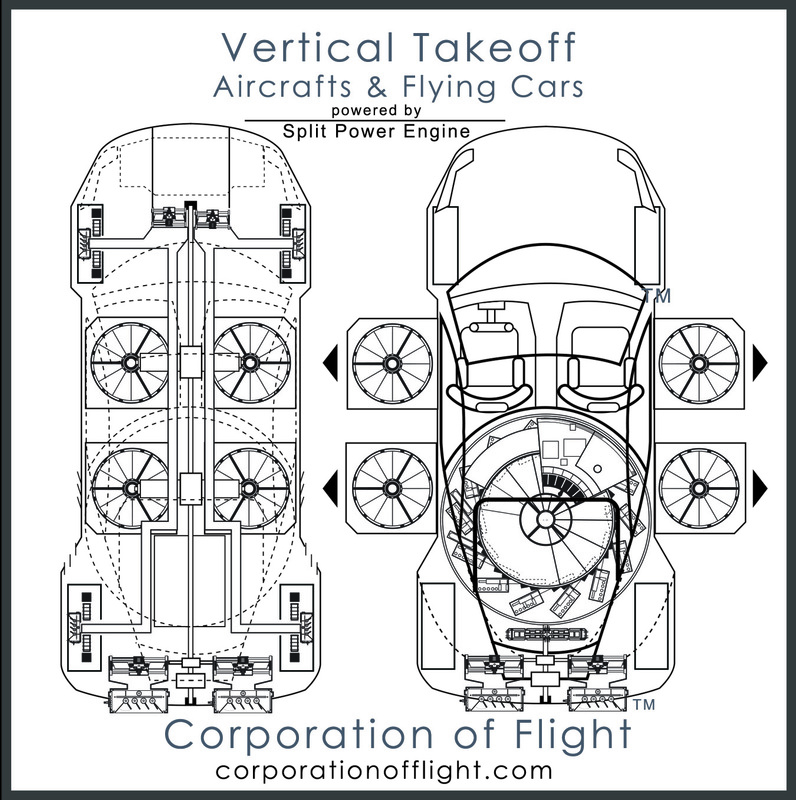 Corporation of Flight Inc. is primarily a development and licensing corporation focused on Vertical Takeoff and Landing aircraft ranging from one person to 50-plus passenger aircraft for arrivals and departures in any location. Source: Corporation of Flight Inc.
About Corporation of Flight, Inc. 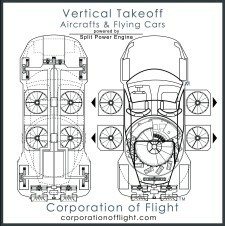 Corporation of Flight, Inc. is a development and licensing corporation focused on 1 to 50+ passenger, vertical takeoff aircrafts, for arrivals and departures to and from any location. 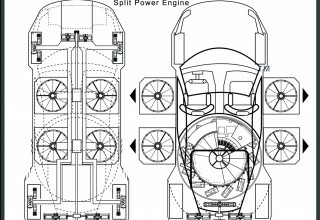 Its new Split Power Engine makes the flying car now possible. Taking on task to develop Air Force "Vertical" One and U.S. Army's Future Vertical Lift Aircrafts.